Your Movie Buddy: What's the Worst Movie of the Decade? What's the Worst Movie of the Decade? It's a question that yours truly and a colleague of mine, the uber-knowledgeable wordsmith Pete Croatto, recently answered in a spirited discussion over at Dyalogues.com. 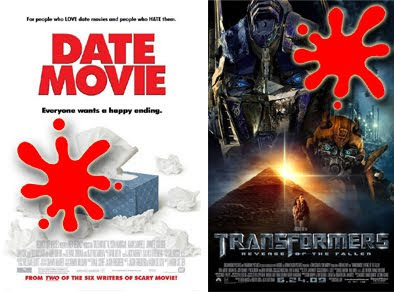 Pete chose "Date Movie" (which I've never seen and probably never will), while I opted for Michael Bay's awesomely awful "Transformers: Revenge of the Fallen." Along the way, we discuss other titles that have greatly offended us, as well as why bad movies admittedly have a certain appeal all their own. To read the full conversation (which should be the first of several), CLICK HERE. All those Date Movie, Epic Movie, Dance Flick but there are too many to choose from.